It appears that we have been in the Christmas spirit since before the turkey was thawed and roasted. Trees are up in homes and have been for weeks. Not at my house, of course. But in yours. And, really, it is lovely, all those Christmas sights and smells, fresh trees, garland, cookies baking, but while I might be a laggard in getting my own home ready, let me join you in a spasm of holiday cheer and talk music. If you have grown tired of all the standard Christmas music—you know the ones–the compilations by various artists of the same sixteen Christmas standards, then you might want to find some of these. I mean, honestly. After a while, Garth Brooks, Maria Carey and Harry Connick, Jr. begin to sound alike as they beg us to have ourselves a merry little Christmas now. My friend, Jason, a music connoisseur of the highest order, would suggest the following collections to start your holiday off right. 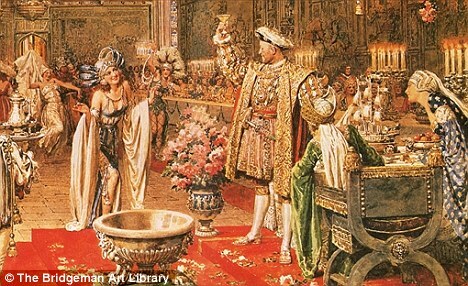 On his list of favorites is “A Tudor Christmas,” given to us by the Choir of Christ Church-Oxford. I have been to Oxford so that alone seems reason enough for me to find this and give it a listen. He continues with Tori Amos and “Midwinter Graces”, “A Christmas Cornucopia” by Annie Lennox. You remember her. She was one half of the Eurythmics, the best half, as it turns out. 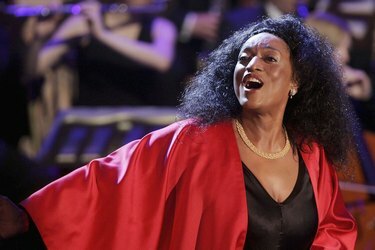 Jason will be listening to Jessye Norman’s “Christmastide.” Jessye Norman is an American opera star, but don’t be put off by that, if in fact, you are tempted to be. Her voice is mesmerizing and compelling and rich as any confection at Christmas should be. He will be giving the McGarrigle sisters a listen, too, as Kate and Anne perform on their Christmas album, “McGarrigle Christmas Hour.” It shames to say that I don’t know the work of this sister duo from Canada, except for the songs they wrote that are performed by others, Linda Ronstadt and Emmylou Harris, for example. One song on this album you may be familiar with is “Some Children See Him,” a lovely and touching song that reminds us we are all connected, and it is nice to be reminded of that at Christmas. The only album on Jason’s list that I know, and by know I mean I can sing along and I can sing all the parts, is “A Light in the Stable” given to us by Emmylou Harris. This one gets a good workout in my car all December long. I purchased the original version of this album back in the early ’80’s. It has been expanded, and while the original was great, the new one is even better. 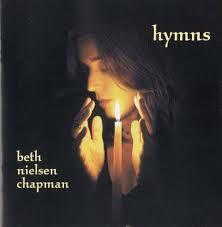 It now includes a song by the McGarrigles, as well as Beth Nielsen Chapman, who has an album entitled, “Hymns.” While it isn’t a Christmas album, it is lovely beyond measure and would fit right in this time of year, what with its offerings of “Ave Maria” and “Panis Angelicus” and so many more. With Jason’s permission, I would like to recommend a couple of my favorite Christmas albums for your consideration. The first is Sting’s “If On a Winter’s Night…” I know, I know, Sting is all angst-y and well, so Sting, but this album is beautiful, if moody in its way. In selecting the songs for this project he talked about wanting a range of music that reflects the realities as well of the mysteries of Christmas. Not an album to put on while you are stringing popcorn, but trust me. There will be some evening or grey afternoon in the next few weeks where this will be exactly what you want to hear. 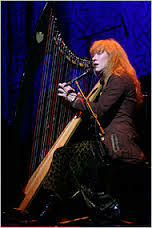 I love Loreena McKennitt, the Canadian singer, harpist, and composer whose music is shot through with Celtic and Eastern influences and it is dramatic and otherworldly as all get out. She has three Christmas albums that I have, and love, and recommend. They are “To Drive the Cold Winter Away,” “A Winter’s Garden,” and “A Midwinter Night’s Dream.” As their titles are all similar, so are the albums, so just pick one, you won’t be disappointed. Her music is grounded and mystic at the same time, with rich cellos and instruments you can’t even name. Perhaps these suggestions will help round out your Christmas collection and set the tone while sparing you Grandma Got Run Over By a Reindeer on an endless loop.